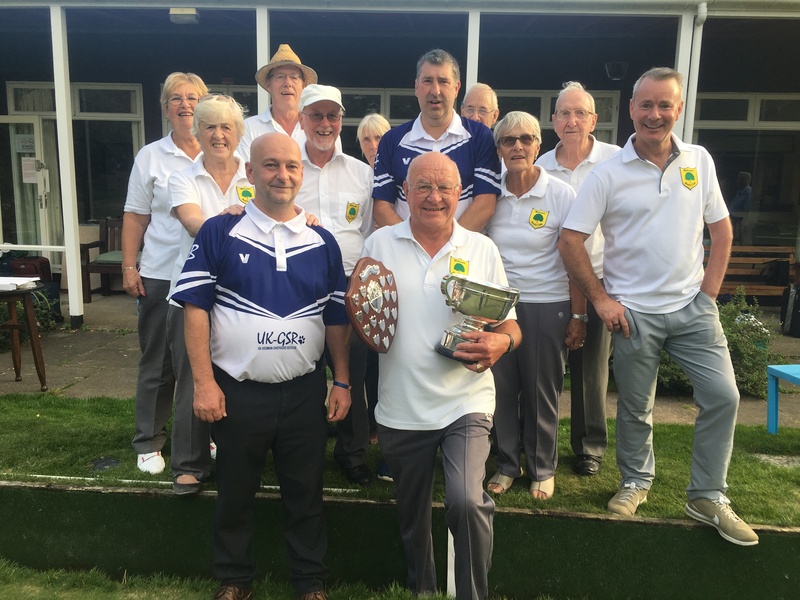 The successful Meldreth League team pictured after winning the league trophy by beating Sawston at Meldreth Bowls Club in September 2018. 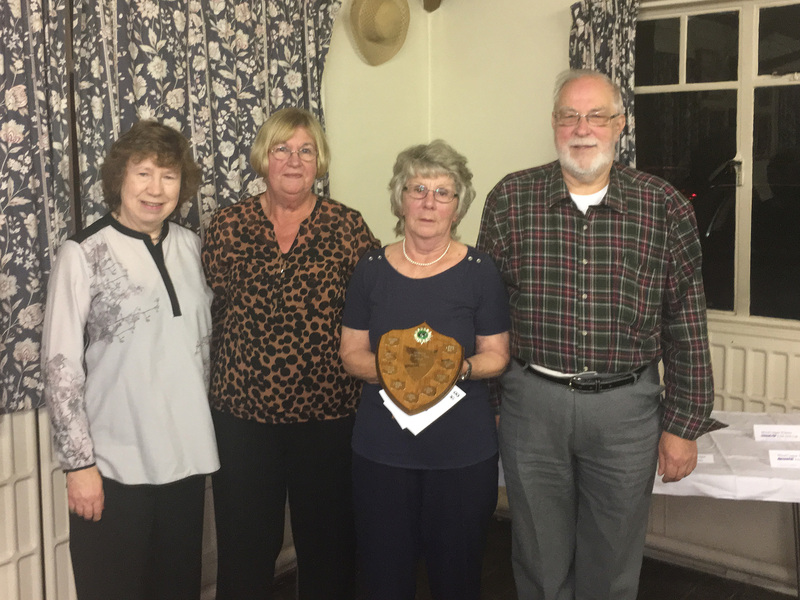 Club members, Pat Leggett and Gill Antill, being presented with the trophy for winning the Ladies Pairs in the Cambridge Business House Competitions in 2017. Trophy was presented by Colin Banks and Sally-Anne Purvis.